For the original and complete (French) text of the Arab group letter to UNESCO, sent by UAE ambassador Abdullah Alneaimi on January 14, 2014, protesting the planned UNESCO exhibition, curated with the Simon Wiesenthal Center, on the 3,500-year relationship of the Jewish people to the Land of Israel : click here. Turkey is becoming one of the most loyal backers of UNESCO, the United Nations Educational, Scientific and Cultural Organization, recently deciding to double its annual contribution, after donating an additional $5 million last year. According to news reports, the move is aimed to compensate for the lost revenue from the US and Israel, following their suspension of payments after Palestine became a full member of the organization. According to estimates, Turkey contributes around 1.3% of UNESCO’s budget and this should go up to 2.5%. The US alone gives 22%. It is interesting that the cut of US funds is presented as the primary consideration behind this move. Turkey, a NATO member, is a traditional friend of the United States and one is not used to reading such an explicit motivation coming from allies. However, this is not all due to altruism for UNESCO’s mission. Turkey is home to many important cultural sites from many different cultures. Strengthening their position at UNESCO is an asset for Turkish diplomacy. Turkey was recently elected to UNESCO’s World Heritage Committee for the next four years and four Turkish programs had been accepted into UNESCO’s memorial programs. This hasn’t got unnoticed and has angered its neighbor and traditional rival Armenia. 1. UNESCO passed six anti-Israel resolutions with support from France, reports the JTA. The United Nations Educational, Scientific and Cultural Organization passed the resolutions Friday at a meeting in Paris of its executive committee. France backed all the resolutions, as did Russia; the United States opposed all of them. Britain and Italy abstained in the votes. 2. As UN Watch recently demonstrated, France has a cynical policy at UNESCO, which is based in Paris, of voting with the world’s worst abusers. Last year France was the only Western democracy that refused to support a Russian motion, supported by such legendary pro-Palestinian powers as Brazil and China, to postpone 5 anti-Israel resolutions. France was even more anti-Israel than Bashar al-Assad and Hugo Chavez, who voted in support of the Russian motion. 3. According to a study by UN Watch, UNESCO singles out Israel systematically. In 2009, UNESCO adopted eight decisions against Israel at the 181st and 182nd sessions of the Executive Board, and two resolutions against Israel at the 35th session of the General Conference. In 2010, UNESCO adopted 10 decisions against Israel at the 184th and 185th sessions of the Executive board. In 2011, UNESCO again adopted 10 decisions against Israel at the 186th and 187th sessions of the Executive Board and two resolutions against Israel at the 36th session of the General Conference. During this same time period, UN Watch’s examination of all UNESCO Executive Board decisions and UNESCO General Conference resolutions showed that not a single other country in the world was censured even once. If UNESCO’s officials, in their lavish Paris headquarters, need the money, why not tell them to go lobby the French? France was among the member states that voted in 2011 to admit the Palestinians. It’s actually much worse that that. The French didn’t merely vote Yes to that fateful Palestinian resolution — thereby triggering a total American funding cut of $80 million as mandated by U.S. law — but they aggressively and successfully lobbied other countries to vote Yes as well. And that is still nothing to what the French did the following year. In October 2012, in a completely surprising yet welcome move, Russia, apparently annoyed with Palestinian overreaching, led a majority of countries to postpone a raft of anti-Israel resolutions. The Palestinians were shocked and outraged. [T]he following States voted for the adjournment of the debate: Austria, Belarus, Belgium, Brazil, China, Czech Republic, Denmark, Grenada, Haiti, Italy, Japan, Kazakhstan, Kenya, Malawi, Mexico, Monaco, Montenegro, Republic of Korea, Russian Federation, Saint Lucia, Slovakia, Spain, Syrian Arab Republic, The former Yugoslav Republic of Macedonia, United Kingdom of Great Britain and Northern Ireland, United States of America, Uzbekistan and Venezuela. Afghanistan, Algeria, Bangladesh, Burkina Faso, Congo, Cuba, Djibouti, Egypt, Ecuador, France, Gambia, Ghana, India, Indonesia, Mali, Namibia, Nigeria, Pakistan, Peru, Saudi Arabia, Tunisia, United Arab Emirates and Zimbabwe. France was the only Western democracy in the batch, refusing to support a Russian motion, supported by such legendary pro-Palestinian powers as Brazil and China, to postpone 5 anti-Israel resolutions. France was more anti-Israel than Bashar al-Assad and Hugo Chavez. Simply despicable. But France is determined to be a leader at UNESCO headquarters in Paris, and the French know how it’s done. And, it must be said, they get results. Two months ago, in February, UNESCO announced the winner of its annual peace prize: French President Francois Hollande. For what? Having assessed the dangers and the repercussions of the situation on Africa, and on Mali in particular, as well as on the rest of the world, the Jury appreciated the solidarity shown by France to the peoples of Africa. That’s right: France, the only remaining colonial armed force in the continent, invaded and occupied an African country and went about bombing Islamic extremists to pieces. That the war is just is beside the point. It is that they managed to do all of these things and, with military operations still underway, got a major UN agency to give them a peace prize for it, which is simply extraordinaire. Segment below from France 24 interview of UNESCO director-general Irina Bokova, April 13, 2013. See video at minute 7:50. France 24: Now let’s talk about UNESCO. As I said earlier, you’re based here in Paris, you rely heavily on the subsidies, on the funds that you get from your members. Following the adoption of Palestine as a member of UNESCO, that was in 2011, the United States stopped funding your organization. This is a terrible blow to UNESCO because the share of the US funding represents more than 20% of your budget. Can you settle this issue? Bokova: Well, it’s a big blow, as you said, and the situation remains very complex, very difficult. Let me say that we are working with the American administration. It is not a deliberate decision taken by the administration to pull out its funding for UNESCO. There were two laws adopted in the 1990s that ban the administration of financing any organization should Palestine become a full member. So it’s a complicated process there. It’s not that the administration does not share our values. I still hope that they can resolve this issue by the end of this year, because if they don’t, they will lose their right to vote. France 24: Their voting rights. So the United States would de facto become an observer within your organization. Bokova: Yeah. Officially they will be members, but they won’t be able to vote. In the same week that UNESCO opened its Executive Board session with five anti-Israel agenda items, the Obama Administration asked Congress to waive legislative restrictions and approve $77.7 million in funding for the Paris-based agency. GENEVA, April 15 – In an urgent letter sent today to UNESCO director-general Irina Bokova (see letter below), UN Watch demanded immediate action to stop the Hamas bulldozing of a 3000-year-old Gaza harbor for use as a terrorist training camp, as reported today by Al Monitor Palestine Pulse. A copy was also sent to EU foreign minister Catherine Ashton calling on the EU to take action. The partial destruction of the ancient Anthedon Harbor—which includes the ruins of a Roman temple and archaeological remains from the Persian, Hellenistic, Roman and Byzantine eras—comes exactly one year after the area was nominated by new UNESCO member state Palestine as a World Heritage site. See ICOMOS Evaluation Book, Additional 2, May 2012, page 1. “Jesus’ Birthplace in Danger”: Will UNESCO choose PA hype over expert findings? Published on June 10, 2012 in UNESCO by unwatch. 4 Comments Tags: UNESCO, World Heritage Committee. Under intense pressure by the PLO and its allies, the upcoming meeting of UNESCO’s World Heritage Committee, to be held in St. Petersburg, Russia, from June 24 to July 6, is liable to find that the “Birthplace of Jesus: the Church of the Nativity and the Pilgrimage route, Bethlehem” is under urgent danger and worthy of special UN protection, a declaration that could only further inflame the region. What news reports fail to mention, however, is that the PLO’s submission — its first nomination to the World Heritage List since UNESCO voted to admit “Palestine” as a member in October 2011 — has been completely rejected by the professional body charged with evaluating country applications. 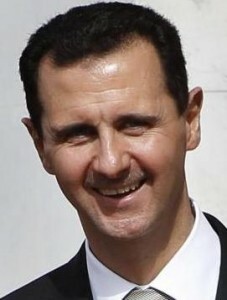 GENEVA, March 8, 2012 – The UN’s education, science and culture organization has just voted 35 to 8 for a resolution that condemns Assad for abuses, yet — despite vigorous efforts led by the U.S. — keeps the regime on its human rights committee. Click here for resolution; here for U.S. statement. GENEVA, March 7 – Despite vigorous efforts led by the US and Britain, a resolution on Syria to be adopted today by the UN’s education, science and culture agency will keep the Assad regime on its human rights committee, revealed UN Watch, a Geneva-based human rights monitoring organization, which exclusively obtained a copy of the draft. Click here for draft resolution. “That UNESCO will keep President Bashar al-Assad on its human rights committee — at the same time as the regime mercilessly murders its own people — is a moral outrage,” said Hillel Neuer, executive director of UN Watch, a Geneva-based human rights group. Today’s vote is expected around 4:30 pm Paris time. The weakened resolution is expected to pass with numbers similar to last week’s vote, when Russia tried but failed to remove the Syria discussion from the agenda. UN Watch predicts that some 34 nations, headed by the US and Britain, will vote in favour of today’s watered-down resolution, including Austria, Belgium, Czech Republic, Denmark, France, Egypt, Italy, Japan, Slovakia, Spain, and the United Arab Emirates. Some seventeen are expected to oppose, including Syria itself (it is also a member of the Executive Board), Russia, Cuba, China, Brazil, Angola, Namibia, India, Uzbekistan, Venezuela, Vietnam and Zimbabwe. “We applaud the efforts of the US and Britain, but it’s sad that a moral majority at UNESCO could simply not be found today,” said Neuer. GENEVA, Jan. 25 – For the first time in its history, the UN’s culture and education agency is preparing to condemn Syria and expel it from a human rights committee, revealed a Geneva-based human rights organization today, releasing a motion filed by the U.S., Britain, France, Germany, Italy, Spain, Qatar, Kuwait and six other countries, now backed also by Japan and South Korea. After UNESCO in November elected Syria, which already sits on its 58-member executive board, to a committee that judges human rights complaints, the independent UN Watch monitoring group launched a campaign of 55 parliamentarians, religious groups and human rights activists urging member states to reverse the decision. In response, according to diplomatic documents obtained exclusively by UN Watch, the U.S., its EU allies, Canada, Japan and a handful of Arab states are now among a growing coalition of countries that is formally requesting an agenda item for next month’s UNESCO board meeting to “review” Syria’s controversial membership.